Twins’ birthdays are rather special. While birthdays are usually celebrated for a single individual, these birthdays celebrate the arrival of two unique persons on Earth within minutes of each other! Most of us would know a pair of twins among our friends. 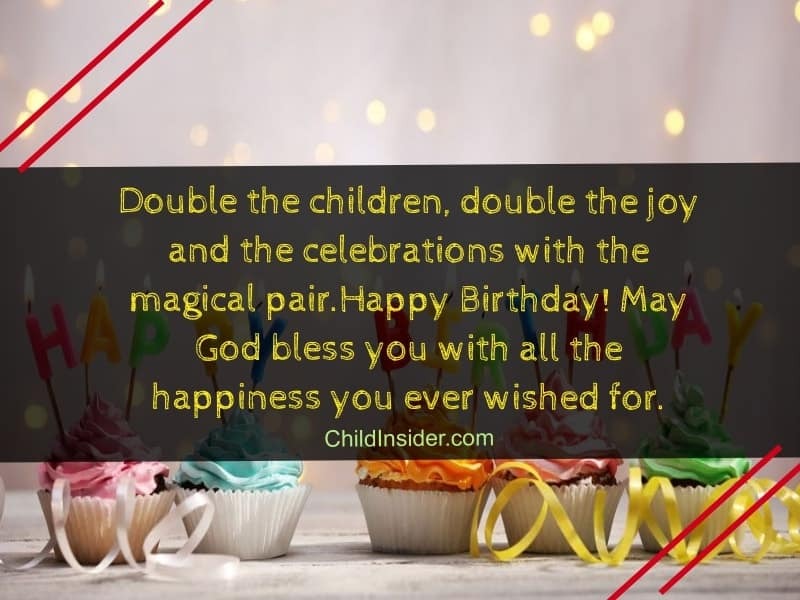 If you have a pair of twins’ birthday coming up soon, you should definitely get inspired by our collection of simple yet beautiful birthday wishes for twins! As you want to wish the twins you can choose to wish both at the same time. You can definitely choose to wish each twin individually, but most might not opt for that. 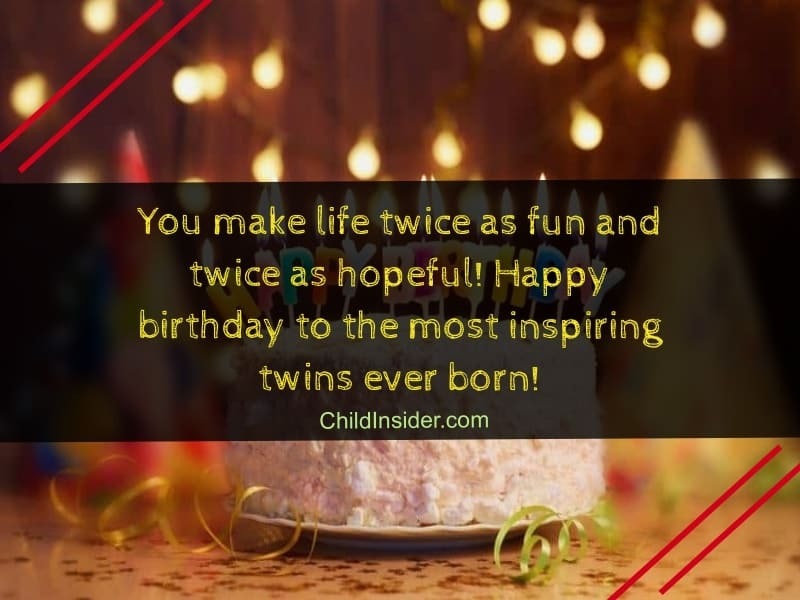 If you are not sure how you want to wish the twins, take a look at our birthday wishes for twins that we have compiled below first. Should you be unable to choose between a few birthday wishes, you can wish both twins separately! 1. Double the trouble, double the laughter and double the love! Happy birthday to the best twins in the world! 2. Happy birthday to the funniest, most loving twins ever! May joy always find its way into your lives! 3. May this life bring you twice the love and twice the adventures! Happy birthday to my favorite twins! 4. More candles mean more cake for everyone! Happy birthday to the most loving twins of all! Friends by choice, brothers by blood! 6. Happy birthday, twins! May your light shine brighter, and your bond grow stronger! 7. You may be two separate people, but you are certainly one great mind! Happy birthday, twins, and all the best! 8. Happy birthday twice as hard to my favorite twins! I can’t tell you apart, but I love you equally! 9. There is no better friend in the world than your identical twin! Happy birthday, girls, enjoy your day! 10. Having a twin means never having to look for a best friend! Happy birthday to you both, may this year bring you growth! 11. Happy birthday to your twins! May they have everything they wished for and more! 12. Happy birthday to the most fun duo on this planet! I wish you two best of luck and plenty of adventures ahead! 13. There are two reasons to celebrate today! Happy B-Day to your twin boys, may they grow stronger together! 14. Happy birthday, twins! Sending two times the love today, and wishing you all the best! 15. You girls don’t need poker to be two of a kind! Happy birthday, twins, you make every day a joy! 16. Your mom was so awesome, one child just wouldn’t do the trick! Happy B-Day, twins, let’s make today memorable! 17. Having two boys sounded like trouble, but we wouldn’t have it any other way! Happy birthday to our twins, we love you so much! 18. You read each other’s minds and you finish each other’s sentences. Happy birthday to the closets twins ever! 19. Here is to another year of great adventures, happy memories and lots of love, times two! Happy birthday to my favorite twins! 20. You make life twice as fun and twice as hopeful! Happy birthday to the most inspiring twins ever born! 21. We couldn’t decide if we wanted a boy or a girl, so we had to have both! Happy birthday to our twins, mom and dad love you a lot! 22. Being parents of twins almost makes us superheroes! Happy birthday to our lively boys, we are so proud of you! 23. May this birthday brings you lots of love and bliss. Happy birthday, all the best, to the best twins! 24. Happy birthday to the most perfect twins in the world! I hope this year brings twice the success to you both! 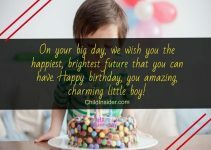 Wish you a very joyous life ahead. 25. Twice as blessed to have you, and twice as proud of you both! Happy birthday, boys! 26. The most valuable things in life always come in pairs, just like you girls! Happy birthday, enjoy your day! 27. Happy birthday to the cutest twin teenagers in the world! I hope this year is everything you hoped for and more! 28. Happy birthday our beloved twins! Lots of love from mom and dad, and thanks for making our everyday lives twice as fun! 29. It is a real blessing having a twin growing up alongside you! Happy birthday, boys, I hope you never lose your bond! 30. We have been twice as blessed, but twice as grateful as well! Happy birthday to our twin girls, may you conquer the world! 31.What a beautiful blessing it is to have two bundles of joy at once! Happy birthday to both of you! 32. Sometimes, I still can’t distinguish between the two of you. So, I will wish both twins at once! Happy birthday! 33. Happy Twinsies! May both of you grow up surrounded by love and joy! Let the day be memorable for you! 34. Happy Birthday to the most unique pair of twins this world had the chance to welcome! May God grant you all the wishes double! 35. Happy Birthday, Twinsies! Double the love, double the joy and double the presents! 36. How lucky you are to have a twin who understands you like no one else can! Proud to be a mother of yours. Happy birthday! 37. The best things in life come in pairs, just like these birthday twins! Happy birthday! 38. May the double-brothers/sisters have a doubly good birthday celebration today! 39. Here’s twice the wishes for a pair of twins’ birthday with twice the fun! Happy Birthday to the most miracle pair. 40. I am so happy to be with you lovely twins on your special day! Happy birthday my dearest ones! 41. Happy birthday double girls/ boys! I wish the both of you the happiest birthday ever! You are the most adorable children I’ve ever seen. 42. Happy birthday to you and you! May you continue to spread your twin magic everywhere you go! 43. Double the children, double the joy and the celebrations with the magical pair.Happy Birthday! May God bless you with all the happiness you ever wished for. 44. What a magical pair you have grown to be! May the both of you grow up wise and healthy! 45. God brought two miracles into your family when you two came along! Happy birthday little ones! 46. To the wonderful children born minutes apart from each other, you are a miracle! Happy birthday to both of you! 47. To the sweetest, brightest and coolest twins that I know, happy birthday! May you two unique souls get everything that you have ever wished for. 48. Oh, to be celebrating two wonderful children’s birthdays on the same day! Happy Twinsie Birthday! 49. May God continue to bless the two wonderful angels he sent into this world this birthday many more in the future! Everyone may shower blessings on you and enjoy the day with laughter. 50. May love, joy, and laughter follow in the two sets of footsteps wherever you go. Happy birthday! 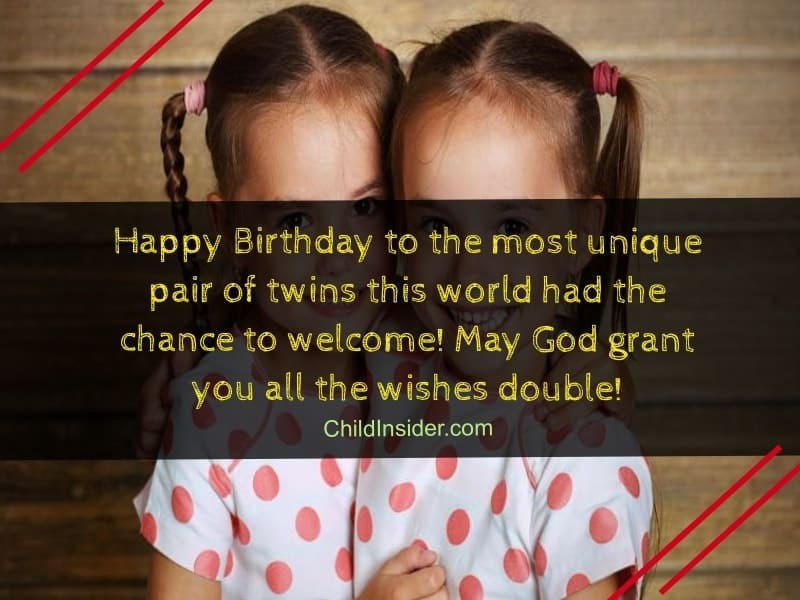 All in all, birthday wishes about twins should be as special and unique are twins are in general. We hope that you have found birthday wishes that you want to wish the special twins with! If you did, do support us by sharing this post with your friends and family on social media. Remember to bookmark our page so that we are always only a click away!